Navstar trader is a new binary options software that’s promising traders $900 every single hour like clockwork. The developer of this system is Ethan Harrington and he believes that GPS technology is the key to making huge profits in binary options trading. Today I will be providing review and letting you know if I believe the system can make you thousands of dollars a day. It’s very difficult to believe the claims being provided by Ethan Harrington about his Navstar Trader. He tells us that he wants us to make over $22,000 by tomorrow morning and he will even help us do it as long as we watch his video tutorial. Ethan promises $900 per hour for just 4 minutes set up time. It’s just not realistic. Claims like these need to be eliminated from the binary options market for good, they are not helping anyone and creating a sense that traders can get rich quickly, which is far from the truth. The story being presented by the Navstar trader is actually the same story we heard during the launch of the GPS trader. The GPS trader is a failed binary options system that never made traders any money. The video is what you would expect from the binary options market. Nathan Harrington shows us screenshots of large trading accounts, and talks about how good this system is without ever giving real details about the strategy. Systems like these are seemingly from marketers and not binary options traders. Traders prefer discussing strategy and informing the public of why their software is good. Products like these only tell that their software is really good but they can never explain why. As is often the case, the Navstar trader webpage also has a section for social testimonials. People claim that they are purchasing new Rolexes because of the system but if you type Navstar into Facebook none of these posts actually exist. Considering all these posts are hashtagged, we should have no problem finding them. Which makes me believe that they just don’t exist. This isn’t even Facebook, it’s fake. Clicking on his name, or the #Navstar only brings you to a 404 page. I will not be recommending NavStar Trader to any of the binary today readers. This software is clearly another example of the binary options get rich quick scheme. I don’t believe that this developer can be trusted because his claims are outlandish. 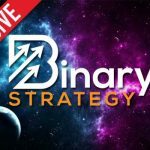 There is no binary options system that’s going to make you $900 an hour after 4 minutes of work. These promises aren’t realistic and they are damaging to a community of traders that should be focused on real binary options strategies. Let me know what you think about Navstar by commenting at the bottom of this review now.